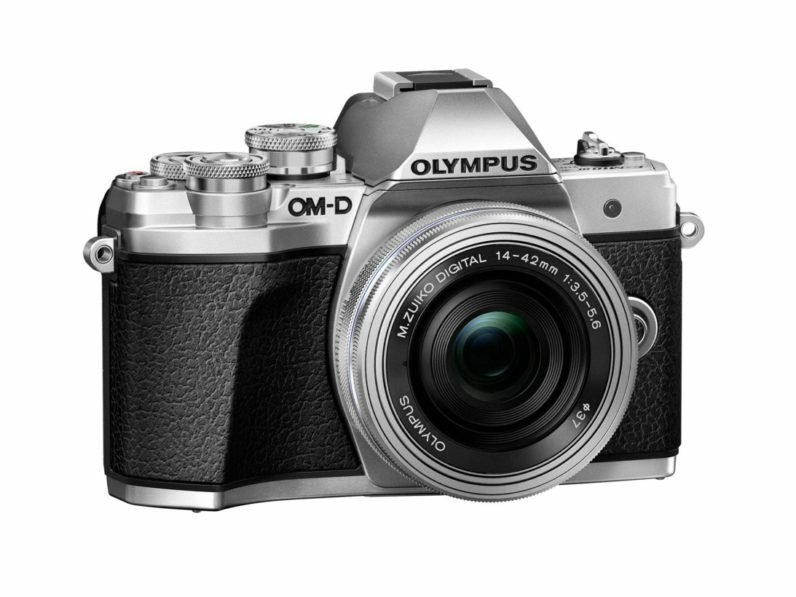 Olympus’ OM-D series has long been one of the most popular choices among mirrorless enthusiasts, combining compact design with retro aesthetics, speedy performance, and excellent image stabilization. Now Olympus is bringing some of the best features from its premier camera to its newest entry level camera, the E-M10 Mark III. The biggest change this time around is the addition of 4K video recording – because it’s 2017 – and improved video stabilization. The previous model offered 3-axis stabilization for video; the MKIII does 5-axis. If you don’t know what that means, it’s basically silky smooth video on the move. When in AUTO Mode, the camera detects the shooting scene, subject, lighting, and movement of the camera and subject to automatically select the optimal settings to allow anyone to capture blur-free, pin-sharp photos, even in dimly lit indoor situations. In Scene Mode, users can touch one of six shooting environments, each displayed on the LCD monitor, to activate the ideal settings. The Advanced Photo Mode opens up users of all levels to popular photography techniques, such as nighttime Live Composite and Multiple Exposure. Bleach Bypass is a new filter in Art Filter Mode that reproduces the silver retention method used when developing film. Type I produces a glossy look, like shining silver metal, and Type II produces a nostalgic look reminiscent of old film. Marketing speak aside, the idea is to help simplify settings for noob photographers. They can play with auto or scene modes, while dabbling with more advanced techniques like long exposures, without as much of a learning curve. That said, more advanced photographers will appreciate practical changes like a chunkier grip and raised dials for easier control access in between shots, and a neat shortcut button to quickly access specific settings. I’m also glad Olympus now defaults to using the rear directional pad for changing settings like ISO and white balance, while still letting you easily adjust your focus point if you wish. Otherwise, it’s largely the same as its predecessor. You can shoot at 8.6 FPS, the 16MP sensor is a solid performer, and the in-body image stabilization is a godsend for video shooting static subjects in low light. The sensor may be smaller than some of the competition, but unless you’re shooting action in low light, I’ve found Olympus’ image stabilization usually compensates for it. If you already have an E-M10 MKII, there’s little reason to upgrade, and it doesn’t come cheap at $650 for the body only ($800 with the kit lens). Still, Olympus is presenting a unique combination of design, speed, portability and image quality that’s hard to find. Considering Olympus is part of the most robust lens ecosystem among mirrorless cameras, the MKIII could be a worthwhile consideration for someone wetting their toes with more advanced photography.